Southampton was No 1 Port during the First World War and military hospitals were established in the University buildings, in the Highfield Institution and at Shirley Warren. During the Second World War, 4.5 million tons of military equipment passed through Southampton docks and parts of the prefabricated harbours used at Arromanches during the Normandy invasion were made there. For a while, Southampton was also base to the 14th Major Port Transportation Corps of the United States Army. 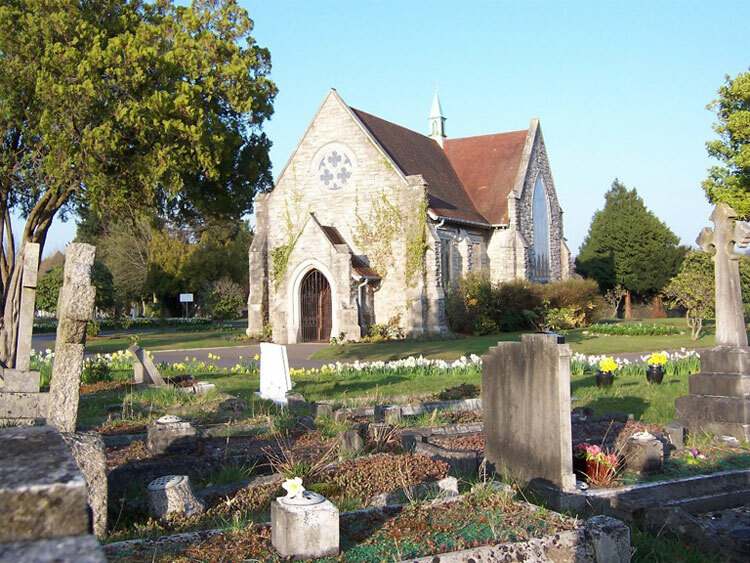 Southampton (Hollybrook) Cemetery contains burials of both wars and a memorial to the missing. The cemetery has a First World War plot near the main entrance containing most of the 125 graves from this period. 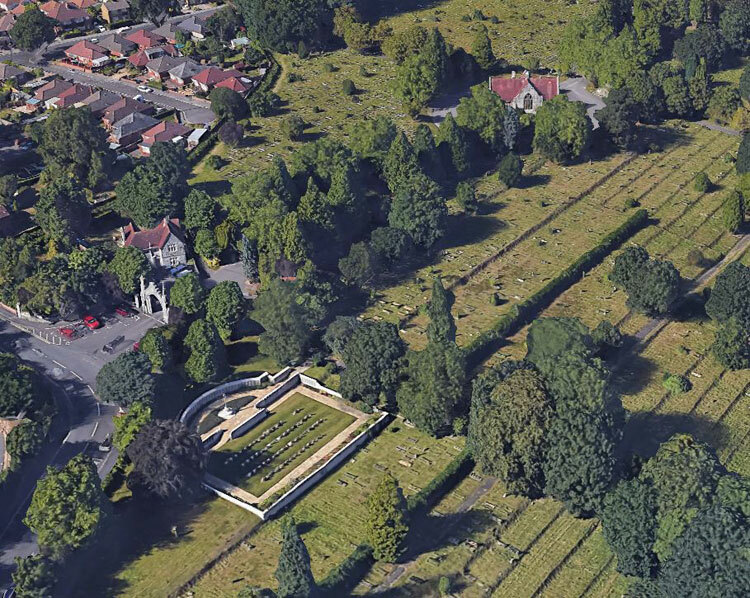 Behind this plot is the Hollybrook Memorial which commemorates by name almost 1,900 servicemen and women of the Commonwealth land and air forces whose graves are not known, many of whom were lost in transports or other vessels torpedoed or mined in home waters. It also bears the names of those who were lost or buried at sea, or who died at home but whose bodies could not be recovered for burial. Most of the 186 Second World War burials are in a separate war graves plot. 3 of these burials are unidentified seaman of the Merchant Navy. In addition to the Commonwealth war graves, the cemetery contains 67 war graves of other nationalities, many of them German, of which 2 are unidentified. 1 soldier of the Yorkshire Regiment is buried in the cemetery. 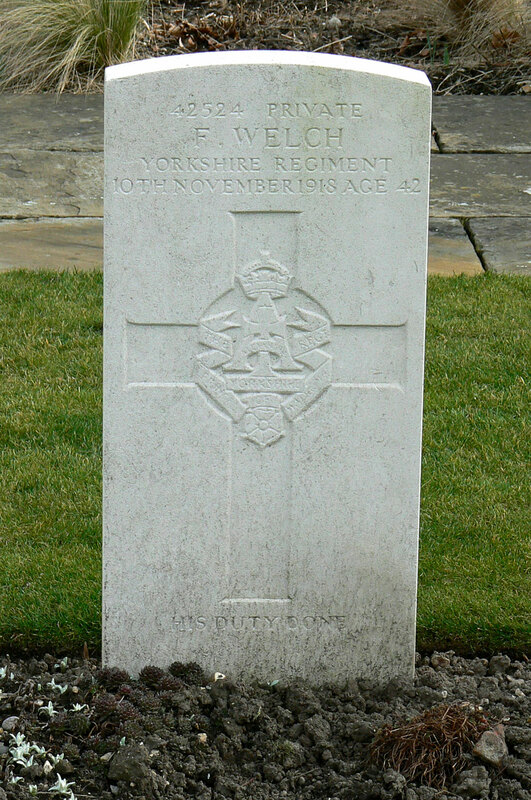 There is also a family memorial which commemorates another soldier of the Yorkshire Regiment and the brother of this soldier, - who died one week later than his brother and is buried in this plot. Select a thumbnail image of a headstone for a larger sized image which opens in a new window. SEPT. 14TH 1918. AGED 19 YEARS. Private Charles Henry Marriott. 35726. 5th Battalion the Yorkshire Regiment, formerly 38649 Hants Regt. 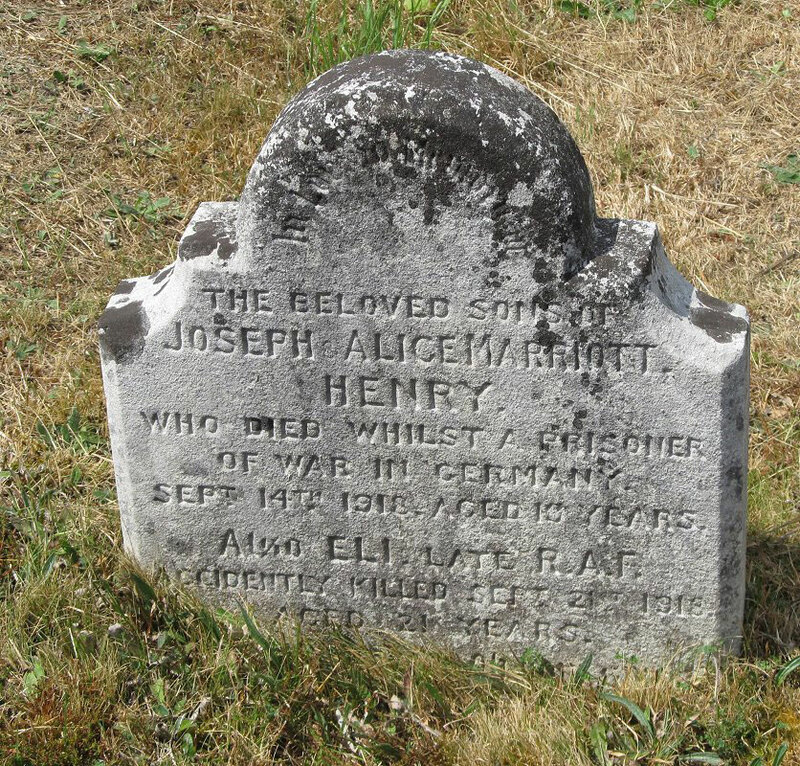 Son of J. C. and Alice Ann Marriott, of 130, Adelaide Rd., St. Denys, Southampton. Killed 14 September 1918. Aged 19. 9th Battalion Yorkshire Regiment, formerly 495 Royal Field Artillery. 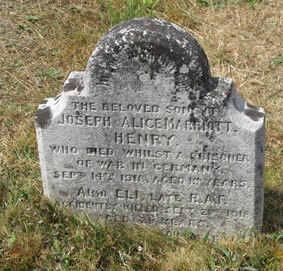 Son of the late John A. and Catherine Welch; husband of Nellie Z. Welch, of 24, Albany Rd., Freemantle, Southampton. Born at Southampton. Died of wounds 10 November 1918. Aged 42. Born Southampton, Enlisted Soton, Resided Southampton. Photograph by John Cronin (<john.j.cronin@ntlworld.com>). Showing the First World War Burial plot, Behind Which is the Hollybrook Memorial.